The northern lights are one of nature’s most beautiful displays—an example of Mother Nature at her best. And winter in the north is one of the best places to get a fantastic look at this awe-inspiring light show. But there’s more to the northern lights than meets the eye. The dancing greens and pinks of the aurora are actually caused by collisions between the gas particles in the earth’s atmosphere and the charged particles released by the sun. The colors change depending on the type of gas molecules that collide—oxygen, for example, causes the greens, while the pinks are caused by nitrogen. Want to know more about these amazing natural spectacles? 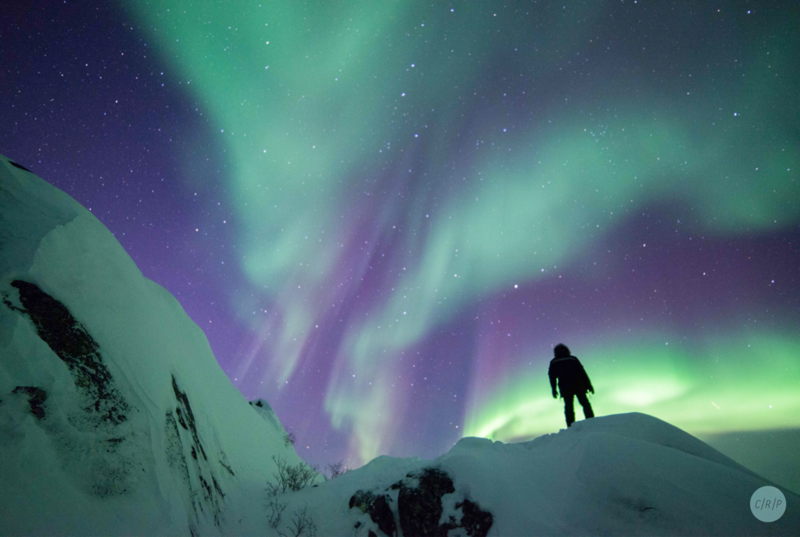 Here are 10 facts to pique your interest in the northern lights. 1. The charged particles from the sun travel over 50 million kilometers (93 million miles) before they reach Earth to cause northern lights. Did you know there is wind on the sun? Well, kinda. So the corona (or outer layer) of the sun is so hot—like 1.1 million degrees Celsius (2 million degrees Fahrenheit) hot—that the sun’s gravity can’t contain the charged particles. So they “blow” away creating solar wind. After traveling 50 million kilometers (at 800 kilometres per second, no less), these rapidly moving particles reach the Earth. And when the solar wind hits our planet, interesting things can happen, such as the aurora borealis. 2. The colors of the northern lights depend on two things—gas and distance. Ever wondered why the northern lights are nifty neon colors? There’s actually a very scientific answer. The colors are actually caused by collisions of electrons entering the Earth’s atmosphere as they hit gaseous particles. Depending on the gas and the distance above the ionosphere these collisions take place, a different color is made. Oxygen generates green lights at lower altitudes (97 kilometres or 60 miles above the earth), and red lights at higher altitudes (322 kilometres or 200 miles). Nitrogen particles cause blue or purplish-red lights. Even an orange/white color can be seen sometimes, but it is extremely rare. 3. The aurora borealis in the north and the aurora australis in the south are mirror images of each other that occur at the same time and in the same shape. Did you know there are actually “Southern Lights” too? That’s right, when the solar storms bounce off of the Earth’s magnetic fields and hit the poles, colorful lights are created in both the northern and southern hemispheres. And moreover, they are mirror images of each other. Does it get any cooler than that?! The aurora australis is best seen in Antarctica, but can also be seen on the southern coasts of Australia, New Zealand, Chile, and Argentina. In fact, this past year was the first commercial flight in New Zealand taking passengers through the Southern Lights. 4. Astronauts in the International Space Station sometimes fly right through the northern lights. Not many people can say they’ve seen the aurora borealis in person, and even fewer can say they’ve flown right through it! But some astronauts actually have! The International Space Station flies about 322 kilometres (200 miles) above the Earth’s surface. Since the Northern Lights can occur between 97 and 644 kilometres (60 and 400 miles) above Earth, it just so happens that sometimes our space heroes get a spectacular show. 5. Earth isn’t the only planet that has northern lights. Surprisingly, Earth isn’t the only planet in our solar system. Shocking, I know. 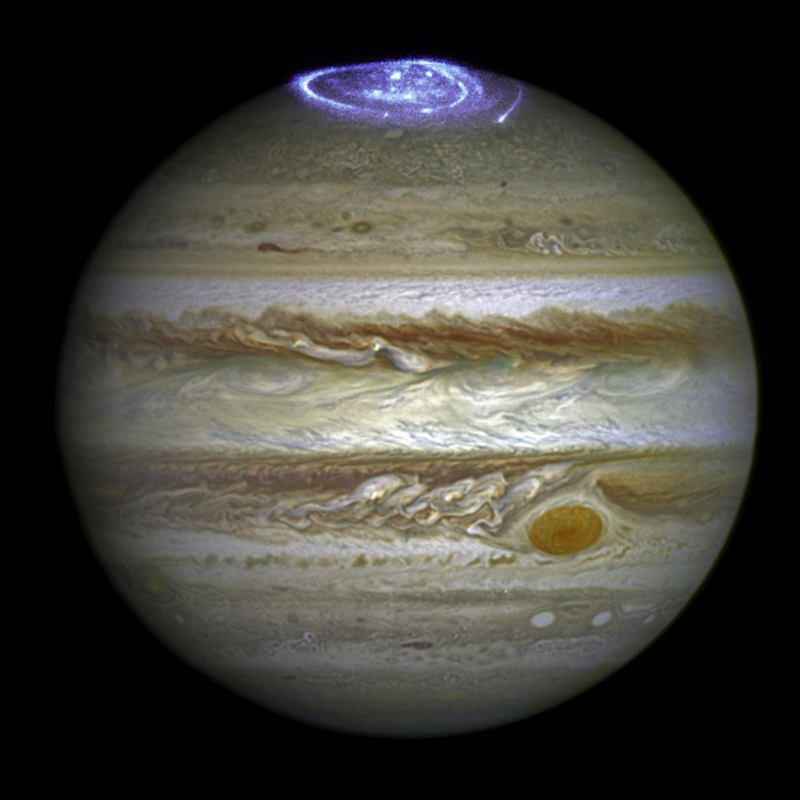 So it would make sense that there are other planets that experience the same phenomenon of solar winds bouncing off of their magnetic shields to create beautifully colorful lights. The big, gaseous planets (Jupiter, Saturn, Uranus, and Neptune) all have powerful magnetic fields, but since they have different gasses, the colors are not necessarily the same as Earth’s. Also, these planets have multiple moons, many of which are larger than our own, and can affect which colors are produced. Who knows if any other lifeforms are in awe of the light shows like the people of Earth! 6. Your camera can actually “see” the northern lights better than you can. Wouldn’t it be interesting to know how many things there are in the universe that the human eye simply can’t see? Thankfully, we have stellar technology, like cameras, that are more sensitive than the human retina and can pick up colors we may not be able to see on our own. But some skilled photography work is needed in order to get these amazing shots. Hiring a guide to help you locate and take you to the northern lights is essential for truly amazing pictures. And why wouldn’t you want to get the best pictures you can? You’ve traveled a long way and spent some money to see the aurora borealis—you should ensure excellent photographs are captured! Your guide can assist you in making sure that your camera is at the best settings as well as position you in the best spot possible for magnificent photos. 7. The Inuit called the aurora “aqsarniit,” or “football players.” They believed the northern lights were spirits of the dead playing football with a walrus skull. Many legends have been passed down by the Inuit and other peoples of the Arctic as to what exactly the northern lights are. The most amusing? The aurora borealis is actually a ball game played by those who have passed on. And the ball? A walrus skull. Some versions are a little more ominous and are the other way around—walruses playing with a human skull! 8. Galileo gave the northern lights the name “aurora borealis” in the early 17th century. Galileo may not have known exactly what the northern lights were, but 400+ years later, the name has stuck. 9. The northern lights are beautiful to see, but did you know they also make sounds? Lights producing noises?! Sounds like something out of a science fiction movie! Believe it or not, many people have heard static or hissing sounds, almost like a radio, while viewing the lights. Remember those charged particles from the sun? They most certainly have something to do with it. Essentially, negative electrical charge gets trapped in the inversion layer, a region of the atmosphere where temperature actually increases with altitude, rather than decreases. When a major solar storm hits Earth, the inversion layer releases the negative electrical charge, which in turn creates the snapping and crackling noises sometimes heard with the northern lights. So when you’re looking at the lovely lights in the night sky, don’t worry, it’s not aliens after all. 10. 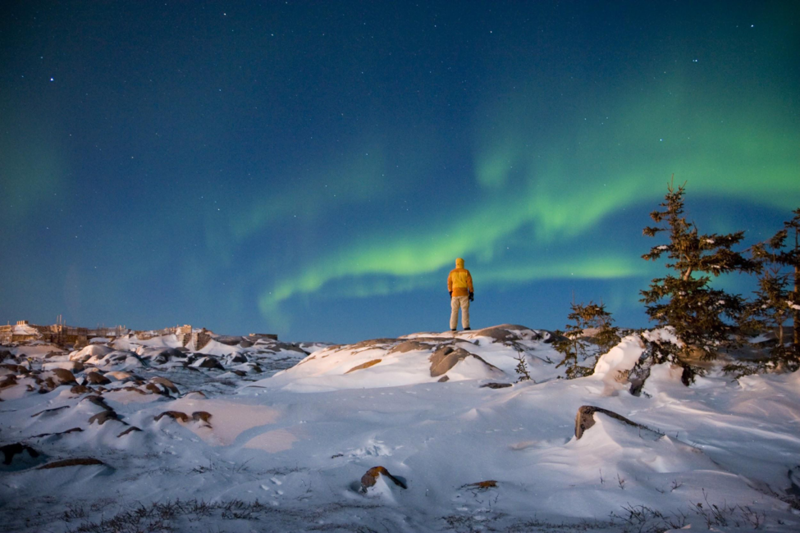 Although you can see the northern lights as far south as New Orleans during intense solar storms, the best place to find them in North America is in places like Churchill. They don’t call them the northern lights for nothin’! Truly, the best viewing is in the north, and the best place in North America to see the aurora borealis? Churchill, MB. A major reason why—location. Churchill lies directly below the auroral oval (a giant ring surrounding the Earth’s geomagnetic North Pole where northern lights are most visible). 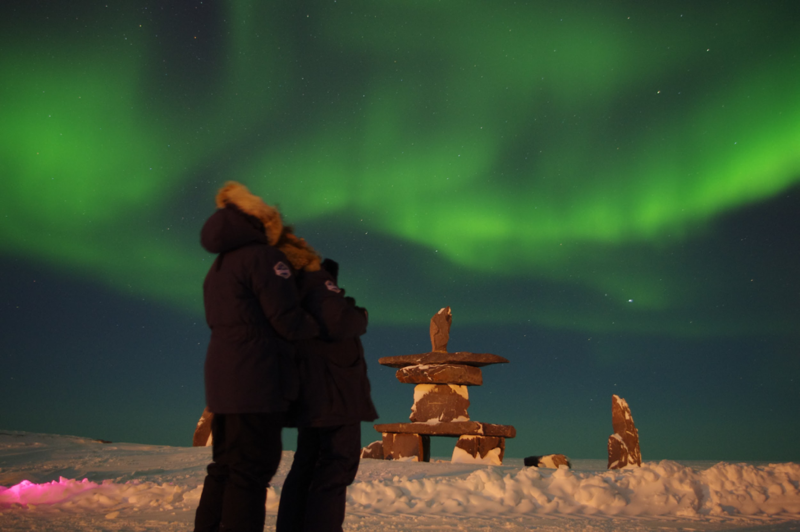 Churchill is also only a two hour flight from Winnipeg, which means you might only have one layover before being able to see the Polar Lights! Here, you can experience the northern lights in a Tundra Buggy and in the Thanadelthur Lounge. Add some wine and appetizers to your viewing experience, and you are good to go! 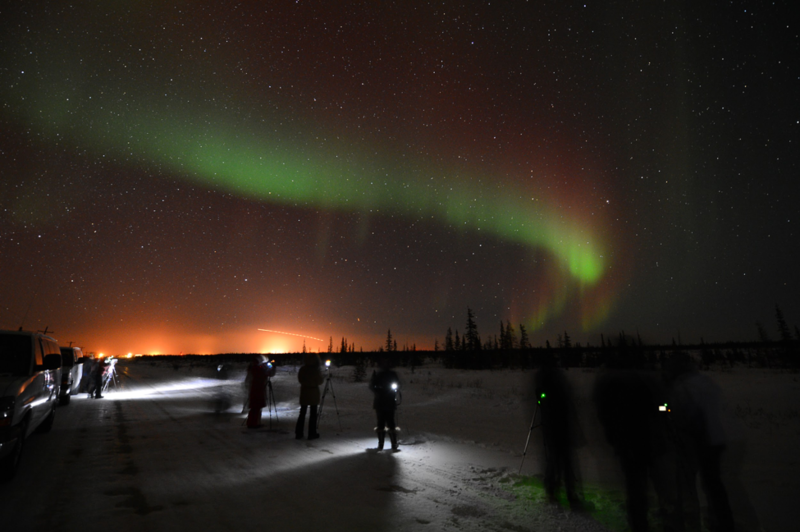 Finally, your chances of seeing the aurora borealis are fantastic in Churchill. The lights can be seen about 300 times a year—at 365 days in a year, that’s pretty good odds that you will see them! Ready to see the northern lights in person? Reading about nature’s “greatest show on earth” can’t do the northern lights justice. They have to be seen in person. If you’re ready to make memories that will last a lifetime, click here to start planning your adventure. Or if you’re not quite ready to commit, but would love more information, sign up for our free email series here.